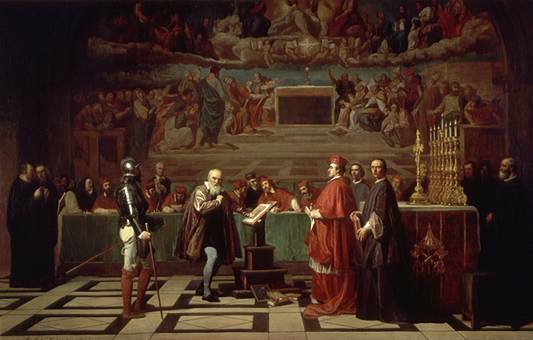 Galileo renounced the heliocentric theory, too. Look what good that did. Alex Bancroft was supposed to be the Prophesied One. Everyone said so but him. Now he’s told Emily Fisher she’s the Prophesied One, and she’s no more happy about it than Alex was. Which adds a certain tension when Emily Fisher poses the $64 question to Alex: if he can see the future, did he know that Stephen Nash would be murdered? Seems like everyone is taking a tumble in “Renunciations,” chapter 34 of Prophecies and Penalties, available now for your reading pleasure. Now that is an apt question. But will it be answered? You do know the answer to your question, now. I’ll leave it a mystery for other readers.